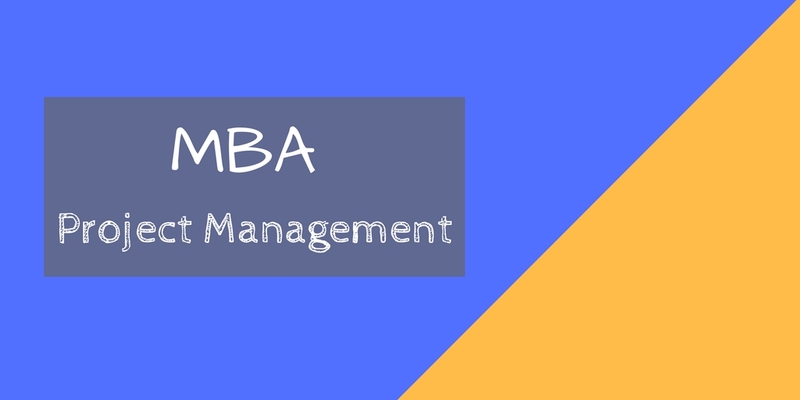 If you are working in a corporate world and your work involves managing and delivering projects then a MBA degree in Project Management can give to your career and you can climb the ladder of the success in a short period of time. As a working professionals, we all have very limited time for our studies and we can hardly think of attending a full-time course. Here the distance education comes into play. There are many good Universities and Institutions in India that offer a distance education MBA programme in Project Management. Project Management skill is in demand in both IT and Non-IT sectors, and the pay scale is also very attractive. In today's article we will tell you some good universities that are offering MBA in Project Management through distance education in India. Suresh Gyan Vihar University (SGVU) is a popular and reputed private university in India located in Rajasthan. The university has won many awards for their quality of education and infrastructure. Their distance education courses are powered by Edusphere. That means you can access all study material, lectures and notes online using internet. Suresh Gyan Vihar University offers a 2 years Distance Education MBA programme in Project Management. The programme is known as "Distance MBA in Project Leadership Management". 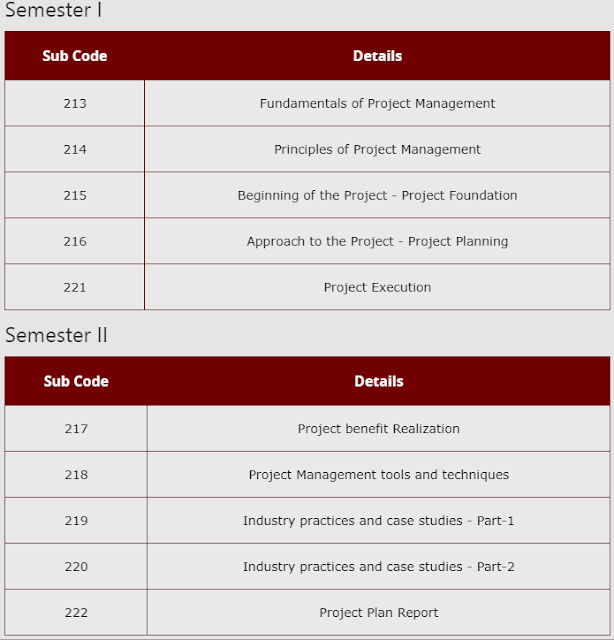 The programme is divided into 4 semesters. The structure of the MBA course is mentioned as below. A minimum 50% marks in Graduation is required to join this programme. The total fee of the course is INR. 62,400 (Lumpsum), and INR 74,400 (In Installments). Jaipur National University is another popular private university from Rajasthan offers an MBA Distance Education in Project Management. The university run distance education courses under The School of Distance Education and Learning (SODEL) which was established in the year 2008-2009. In the year 2009, the university got an approval from Distance Education Council and the joint committee of AICTE-UGC-DEC to run these courses. The distance education MBA course in Project Management offered by Jaipur National University is a 2 years degree programme divided into 4 semesters. A graduation degree is required for getting admission into this course. The fee of the course is affordable and as per Jaipur National University official website, the fee for MBA course is INR 21800 per year. MIT Pune is a leading private institution in India that is known for their regular management courses. MIT Pune also runs distance learning courses under MIT School of Distance Education (MITSDE). Since MIT is not a university, their offers only post graduate diploma courses under the distance education system. They have a one year post graduate diploma in Project Management (PGDPM). 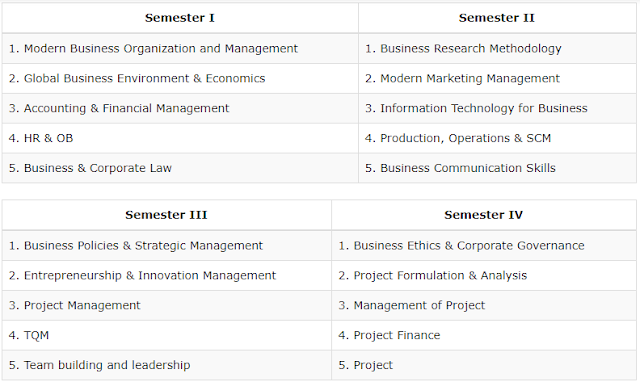 The course is divided into two semesters. 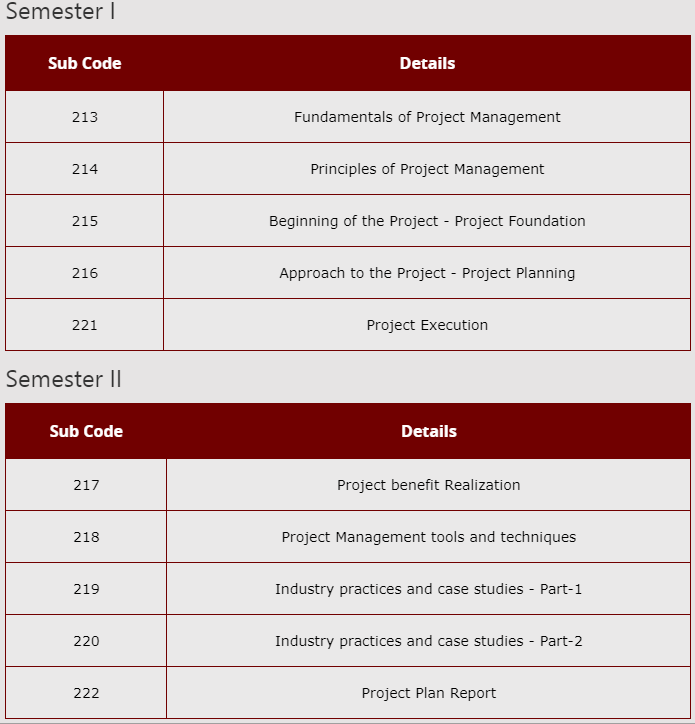 The course structure is mentioned as below. To be eligible for this course, you should be a Graduate or Diploma holder with minimum 3 years of work experience. The total fee of the course is INR 41000 (Lumpsum) and INR 41000 (In-Installments). Alagappa University is a well-know university from South-India offers a 2 years distance education MBA in Project Management. 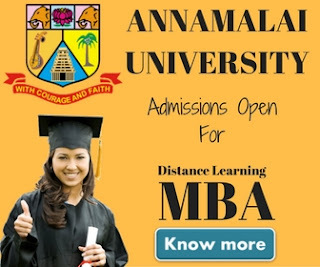 The university runs its distance learning courses under The Directorate of Distance Education (Alagappa University). MBA in Project Management is one of distance education courses that university offers under the semester pattern. There are total 4 semesters in the MBA programme. 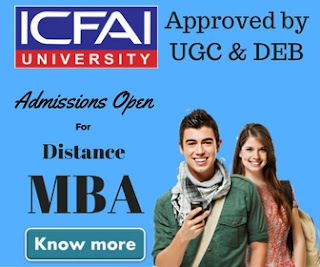 If you wish to take admission in Alagappa University's distance education MBA programme, you must be having a graduate degree under the 10+2+3 system. The total yearly fee of the course is INR 12000.